But what if you thought differently about “the box”? I chatted recently with author and leadership expert Mike Figliuolo about his new book, Lead Inside the Box: How Smart Leaders Guide Their Teams to Exceptional Results , co-written with Victor Prince. Mike’s the author of One Piece of Paper: The Simple Approach to Powerful, Personal Leadership and writes a blog on leadership and strategy at thoughtleadersllc.com/blog/. Or read the transcript here–slightly edited for easier readability. Darcy: Hey everybody, it’s Darcy Eikenberg, the founder of Red Cape Revolution where we help you change your life at work without having to change everything in your life. I’m really excited today because I get to bring you someone whose work I’ve been following for a while, and that’s Mike Figliuolo. 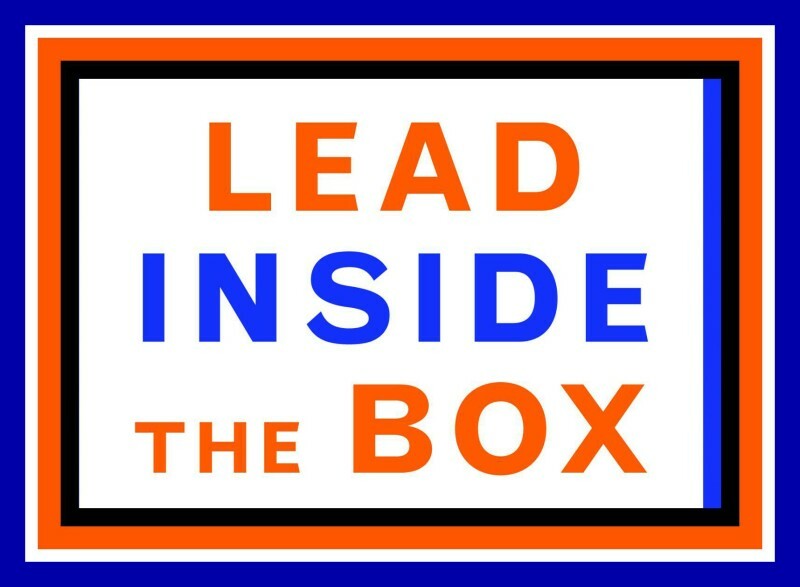 Mike has a new book that’s coming out that’s called Lead Inside the Box—not outside the box, INSIDE the box. We’re going to get a chance to hear more from Mike and tell us a little bit more about this book. Just a little bit of background. 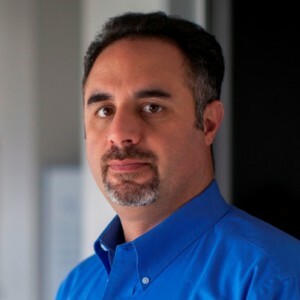 Mike has a great leadership blog at thoughtleadersllc.com. I really encourage you to go out, take a look at the content he has from his own writing and from the other people that contribute to his blog. He has a leadership development organization where they train senior executives at leading companies all over the world. He’s also the author of “One Piece of Paper: the Simple Approach to Powerful, Personal Leadership” and I like that book a lot. Who doesn’t just want it all boiled down to one piece of paper? 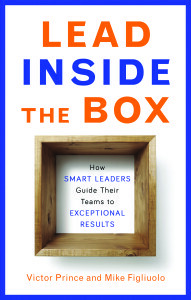 But now the new book is Lead Inside the Box—How Smart Leaders Guide Their Teams to Exceptional Results. With that, I want to say hello to Mike Figliuolo. Hi, Mike! Mike: Hey, how are you? It is my pleasure to be here today. Thanks for the invitation. Darcy: Oh, I’m happy to have you here. So I’d love to just start with the title. Your book’s called “Lead Inside the Box,” I think we’ve all heard so much about being outside the box and about thinking differently, but your subtitle is “how smart leaders guide their teams to exceptional results.” So tell me a little bit about the book, and how the ideas here came about. 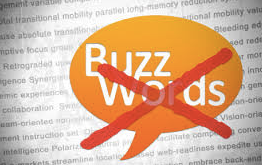 Mike: Yeah, so anybody who’s ever read my stuff knows I detest buzzwords, lingo and jargon. I actually really have a problem with the whole “think outside the box” phrase. So my co-author Victor Prince and I share the same perspective on that, so we said, well let’s do a little thumb-in-the-eye to that comment, and we said let’s lead inside the box. It was also to get people to just pause and say, “Wait a minute, that’s different than I thought, so let me at least see what it’s about.” So there’s a little bit of marketing to it. But the most important aspect is, it is about the box. The book is based upon a framework, and it’s a 2 X 2 matrix, and there are boxes within it. What we look at is performance patterns of members of a team and how the leader is working with those individuals and driving either good or bad performance. So that’s what the box is all about, and you should be leading inside of it, trying to get people to move to better performing areas of that box. The way it came about was Victor Prince, who’s my co-author and has been a colleague for a long time, had the idea and he brought it to me and said, “Hey, I’m thinking about writing a book. Does this framework have any merit as a possible book?” I said, “Yeah, I think it’s great.” And then he graciously said, “Hey Mike, why don’t you co-author it with me because you’ve already published before and you know the process, and I like your writing and we work well together.” So I jumped on it and next thing you know, a book is popping out! Darcy: One of the things that struck me in the book is that you talked about is that it takes time and energy to lead people. I hear this a lot from my clients and the people that follow us here at Red Cape Revolution: this idea that people take time. That the hardest part about many other things we do is actually doing the right thing for the people that work for us, work with us, work around us. So I wonder if you can share a little bit about how this tool can help somebody know where to spend their time and energy when they’re trying to lead a team. Mike: We call it leadership capital–and that is the time, energy and effort that you have as a leader that you can invest in your team members. With any sort of investing, you want to make sure you get the highest return possible. The problem is, we’re not always investing in that leadership capital wisely. For example, it’s easy to lead high performers, and we love hanging out with high performers, spending a lot of time with them because it’s exciting, they build your energy. But you should probably be spending very little time with them. So it’s a bad investment of your leadership capital, because they don’t need a lot of your time. They’re pretty self-sufficient and honestly, a lot of the time that you put into them, hanging around with them, doesn’t add a lot of value or it’s micromanaging. So the way the framework works is it says, let’s take that time that you’re investing with them, because they don’t really need it, and then instead let’s invest it in somebody who may be a little bit more difficult to lead—who does need more of your guidance, coaching and supervision. That’s the mistake we’re trying to save people from, saying don’t spend the time with those high performers necessarily, and instead invest that leadership capital in an individual who’s struggling, because if you can help them perform better, you’re going to get better results and a higher return on that investment of your time. Darcy: You know I’ve heard different perspectives on this, and I’d be curious to your point-of-view, because I’ve heard the perspective that says, the high performer actually needs and deserves your time, because you’re going to get the most leverage out of them. Plus you want to keep them engaged, you want to retain them. So how do you strike that right balance of not just spending time with them because they’re easy, versus the people that might take some more time? Mike: I think it’s all a question of the activities you’re doing with those individuals. In the book, we absolutely agree with the point that you’re talking about—helping high performers develop and grow to the next level, creating new opportunities for them. So those are good investments of your time and your leadership capital. If you’re spending time and energy just talking with them about their work and the projects they have going on, that more falls in the category of a bad allocation of your leadership capital. So it’s not just the amount of time you’re spending, but are you investing it correctly in the right activities? Throughout the book, we cover what those activities are. So for example, if you have somebody who’s underperforming, maybe the way you spend your time with them is either closer supervision, if they’re just not getting their task done, (or) it may be training them on a task. So it’s really situationally dependent how you’re going to invest that time given how the performance shortfalls are manifesting themselves. All we’re really trying to do is raise that level of awareness so leaders can be more deliberate around the way they’re spending that time, and look at it as a true investment with a purpose. Darcy: In the book, you said you don’t like a lot of leadership buzzwords, and I love the fact that you have very comfortable truism words for different types of groups. You’ve got the Passengers—the people that are just riding along. You’ve got the Detractors. Even within the Passengers, you’ve got Stowaways and you have some different language for different kinds of people. So tell me a little bit more about identifying the different kinds of people on your team, and how can somebody figure out what to do about it so that they’re using their leadership capital in the smartest way possible? Mike: We are fans of speaking plainly. For example, people always want to put a pleasant spin on things. When Victor and I were talking about one of the lower performing quadrants, we did discuss softening it, and we said, look, let’s call a spade a spade. They’re Detractors. These individuals are Square Pegs and these individuals (and the behavior they’re demonstrating) are Slackers. Let’s call it out directly, so we’re not wondering what we’re looking at. In terms of identifying the performance that you’re seeing, we put in the book a very simple assessment. You answer some questions, and they’re either binary high/low or yes/no. It’s 15 or 16 questions and by answering those, you can get the sense both of the individual’s performance, which is one axis of the matrix—-how much output are they generating. And then the other axis, the question gets to how much leadership capital are you investing? Are you investing a lot or a little? So when you go through that assessment and answer that small handful of questions, it very quickly pops out an answer that says this individual is behaving like a Passenger, this one’s behaving like a Rising Star, and it guides you to say what box they’re in. And then for each of those, we have a full chapter dedicated to each of those archetypes that describe the archetype and gives you a better sense of what you should be looking for, and most importantly, the leadership techniques you should be using with that individual to improve their performance. We also put that assessment online on the book’s website. So if folks want to go there, they can go in and answer those questions pretty quickly. They can even document what their rationale is for answering a question a certain way. Then they get a nice little email back with the summary of their results, as well as their notes, so they can use it as essentially as a performance management tool. Darcy: That sounds like a great exercise to really make a conscious revisit of each of your people to decide how much energy and time to spend with each of the different types of people. Darcy: I’m curious. You’ve been using this material for a while, and obviously you’ve now put it into a book. What are the types of situations you’re seeing leaders are getting themselves into where they need this material? Where maybe they haven’t known how to use their leadership capital? What are you seeing out there? Mike: I do a lot of executive coaching in addition to the training that we do. A perfect example: I was working with a reasonably senior director, and he had a team of folks who were doing administrative work in addition to their core responsibilities. They kept messing up the administrative work and what would happen is they’d send it up, he’d look at it, say it was wrong, they would whine about not knowing how to do it. He would say, “Forget it. It’s just easier for me to do it.” He was investing a ton of time to do that stuff instead of having them fix their errors. Well, that works out the first time, but the fiftieth time you’re correcting it, you’ve made a bad decision overall. So these are the types of situations that we’re seeing where when you look at the leadership matrix, it becomes abundantly clear that you’re over-investing in those folks, and then the leadership techniques that we talk about in the book are for those types of people who are performing that way. You should be weaning them from the amount of time and energy that they’re taking from you. So every single day, we’re seeing situations where the leadership matrix can apply and people can get a better return on their investments of leadership capital. Darcy: So what might be happening for a leader right now, someone listening, and they’ve got a team. What are the kinds of things that might be happening that would say to them that this is an approach that they should consider? What might they be experiencing? Mike: Honestly, I think there are so many different situations where folks can apply the box. If you’ve got a low performing team and you’re not seeing their performance change, and you’re struggling with getting them to move to an area of higher performance, you can use the matrix there. 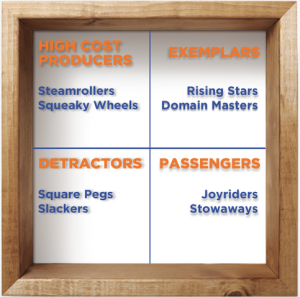 If you’ve got a team of high performers and you’re wondering “where do I take them next?” you can use leadership matrix there to identify what are the things you should be doing to help grow them. Like I said, we have a lot of suggestions and therefore, each of those performance patterns for what leaders can do to get even better performance out of their team, while actually having to spend less time and energy doing so. That’s what’s so fun about the tool — it’s so versatile that you can use that at all different levels of the organization. (In) the last section of the book, we talked about major situations that people can find themselves in where the matrix is a great tool, like the reorganization or a layoff, or you go from being a peer to becoming a boss, and how can you use the matrix to get an understanding of your team. So we try to spell out a whole bunch of different situations where it’s applicable, but that’s what was so fun about writing it –we struggled to find situations where it’s not. If you’re leading team members, the tools and techniques that we’re putting together in here can be applied. Darcy: I can see it even being applicable in situations where you are perhaps leading without authority that you’re like leading a group of people that you need to influence, and really getting some clarity based on the behavior as to where are these different people fall so that you can know how to influence them appropriately where to spend your time. Isn’t that what’s all about? It’s the issue that none of us feel like we have enough time, and people take time. They just do and they deserve it. The right people deserve our time. Darcy: So I’m curious. You’ve got the book that’s coming out and you’ve mentioned you have the assessment that comes with it. So what else is next for you as the book continues to go out and these tools start to be used? Mike: So it’s always fun to hear the feedback from the market. When people read it, I’m sure there’ll be a lot of questions and observations and “hey, how can I apply it in this situation?” We just enjoy thinking through those issues. I think for Victor and I as well as the business, we teach these stuff, we coach people on this stuff and we look for the opportunities to work with teams directly or coach individuals directly on the methods that are in here. I’d much rather learn how something works in the market, where things that are broken in the workplace, then create a training course to fix those issues. Then once we understand how to teach people how to do this, then we write a book. That may feel a little bit backwards, but that’s how you end up with a book that ends up being immediately applicable and relevant. Darcy: Right. Being able to know that the things you’re talking about actually work and having the great stories that go with it. The book is called “Lead Inside the Box: How Smart Leaders Guide Their Teams to Exceptional Results” and by Victor Prince and my guest Mike Figliuolo. Again, I encourage people to go and check out the leadinsidethebox.com where the assessment list and as well as more information on the book. Mike, where else can people get the book? I’m assuming Amazon and all your regular players of the book? Mike: Yup. Amazon, Barnes and Noble, it’ll be hitting bookshelves, retailers as well and then all the places that you can purchase it are all over the website. Darcy: Great. Terrific. So you can find out more about Mike and the book. Again, sounds like the assessment would be a great tool for anybody who’s leading a team and wants to really make sure that they’re using their leadership capital, their time and energy in the smartest way possible. Mike, any last words that you think about your lessons from writing this book and teaching this content? Mike: I would love to hear from your listeners and your readers for the folks who do go out and get a copy and read through it and apply it to their team. We always love feedback on the method itself, we’d love to hear situations where people are applying it and it’s working—or where it’s not working–because our frameworks can always use tune-ups. I’d just be interested and invite your readers and listeners to reach out to us based on their experience with using the method. Darcy: Terrific. We’ll be sure we’ve got all the links that are in the interview post so if you’re listening, you can go online and get those links. I hope that it is a great success for you, and I’m sure that the concepts are really going to help some people align their people time which just can take so much time and energy, but it’s so worth it when we do it right. Again, thank you very much, Mike! I appreciate you being here and thanks to everybody listening. Again, it’s Darcy Eikenberg of Red Cape Revolution, and we’ll talk to you next time. Take the Lead Inside the Box assessment here. 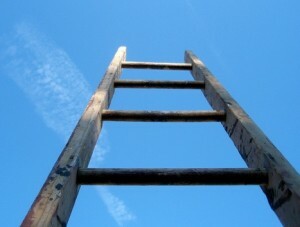 YOUR TURN: How will you lead inside the box? Share your ideas, questions and comments. And thanks!